We will buy your car from you, even if you don't buy a car from us! We are easily located at 4902 New Bern Ave Raleigh , NC 27610. Best Price in Raleigh Guaranteed! Tech Package! Leather, Navigation, Heated Seats, Back Up Camera, BlueTooth, Sunroof! V6 with Technology Package! Elegant Color Combination! Navigation, Heated Seats, Blind Spot Assist! Premium Plus Package! Leather, Navigation, Back Up Camera, Sunroof, Heated Seats, BlueTooth! Premium Plus Package! Blind Spot Monitoring, Navigation, Leather, Heated Seats, Sunroof, BlueTooth! Leather, Heated Seats, Navigation, Back Up Camera, Sunroof, BlueTooth! $236,315 MSRP. 3- Spoke Dual Tone Steering Wheel, Veneered Picnic Tables, Contrast Stitching! LOW MILES! Leather, Sunroof, BlueTooth! Leather, Heated Seats, Sunroof, Navigation, Back Up Camera, BlueTooth! 1 Owner Well Maintained Hardtop Convertible! Navigation, Leather, Heated Seats, Comfort Access! Navigation, Panoramic Sunroof, Leather, Heated Seats, Power Tailgate, BlueTooth! Diesel! Leather, Heated Seats, Panoramic Sunroof, Power Tailgate, Back Up Camera, BlueTooth! Beautifully restored 1967 Chevy C-10 Truck. Local Trade In. ZR1 638 Horsepower! Heads-Up Display, Navigation, Heated Seats! Local Trade In! Double Cab, 4x4, Tow Package! LT Crew Cab! Tow Package! V8 R/T 6 Speed Manual! Leather, Heated Seats, BlueTooth! Raptor! 2 Tone Leather, Back Up Camera, BlueTooth, 4x4, Tow Package! Local Trade In! Loaded with Leather, Heated & Cooled Seats, Navigation, Back Up Cam, BlueTooth! Denali! Leather, Heated Seats, Navigation, Back Up Camera, BlueTooth, 3rd Row Seat, Power Tailgate! V6 EX-L! Leather, Alloy Wheels, Sunroof, Heated Seats, Back Up Camera, BlueTooth, Side Camera! Sport! Alloy Wheels, Back Up Camera, BlueTooth! 6 Speed Manual! Sport Edition! Leather, Back Up Camera, Alloy Wheels, BlueTooth! Local Trade In! EX-L with Leather, Sunroof, Dual Power Sliding Doors, Power Tailgate, Back Up Cam! LOW MILES! Local Trade In! 4x4! BlueTooth! STR8 4x4! 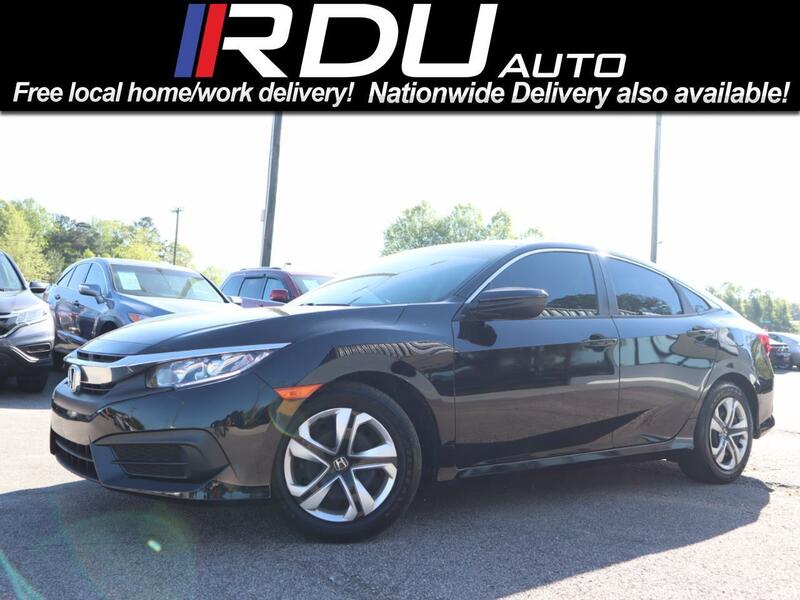 Leather, Heated & Cooled Seats, Navigation, Backup Cam, Sunroof, Power Tailgate! Sunroof! Heated and Cooled Seats! Navigation! 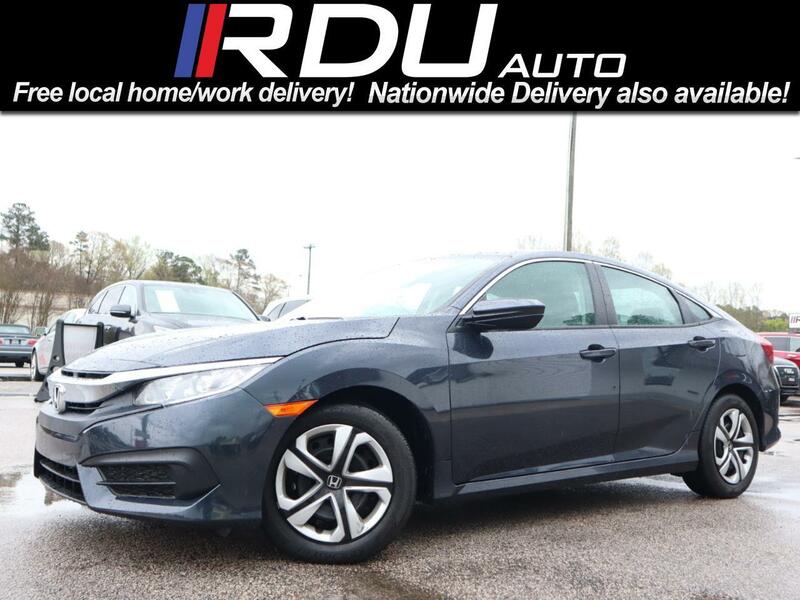 Let RDU Auto Sales show you how easy it is to buy a quality used car in Raleigh . We believe fair prices, superior service, and treating customers right leads to satisfied repeat buyers.